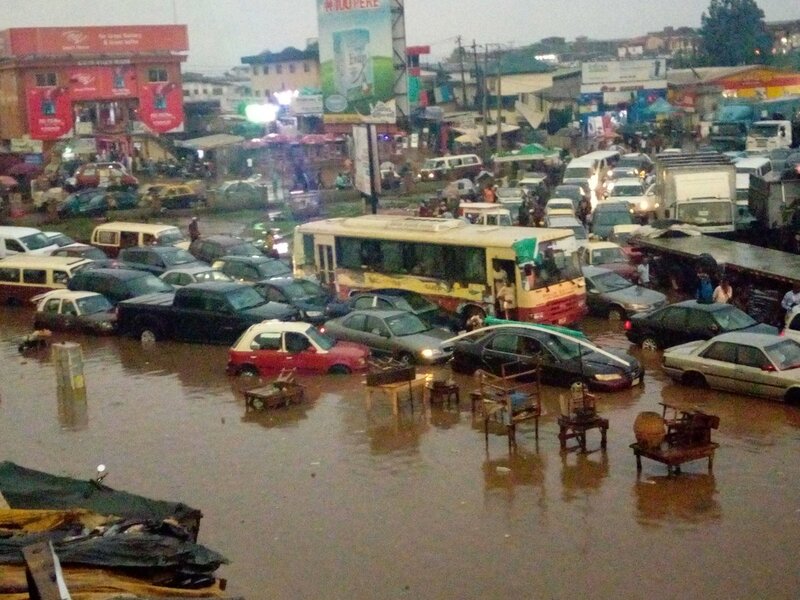 Roads Blocked As Flood Takes Over Iwo Road, Ibadan - Photos - AutoReportNG "AutoReportNG-The No 1 Car Blog In Nigeria That You Can Trust - AutoReportNG"
Heaven seems to smile to Nigerians at last yesterday after the heatwave that hits the country. 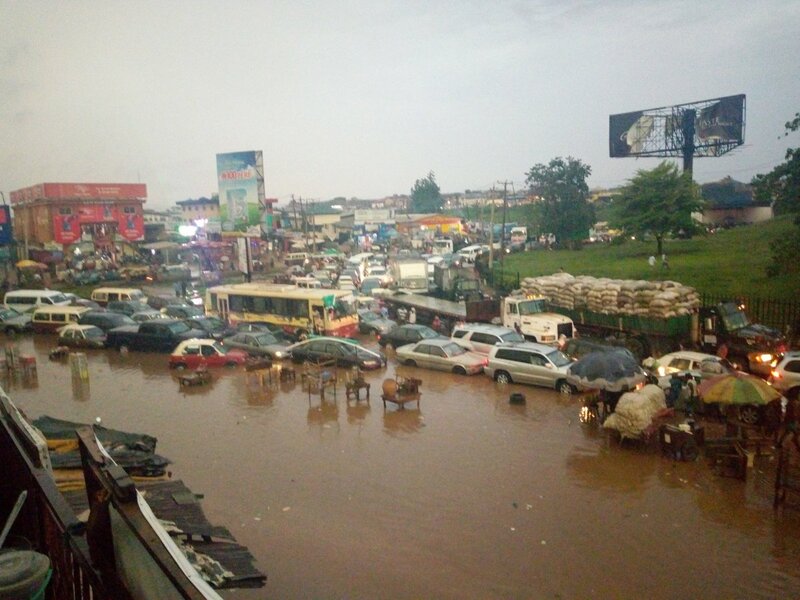 Some major part of the country experience a heavy downpour yesterday, from Lagos to Ibadan to Abeokuta, Mowe and some other parts experience the showers. As good as the rain is to the body and the environment, it leaves its trademark with the people of Iwo Road, Ibadan as everywhere was flooded. 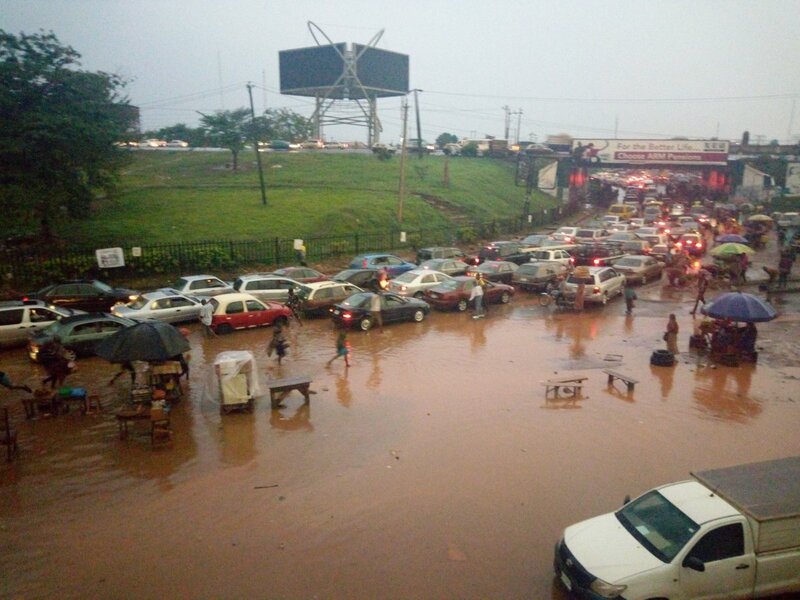 According to images seen on social media, Iwo Road, Ibadan is blocked after the rainfall which caused heavy traffic around this area.